Dr. Jarrod Goldin of Entomo Farms joins Dominique Goulet (entomophagist) and Telf Maynard, Founder of Little Stock Ranch in Vancouver, to discuss the importance and merits of edible insects. 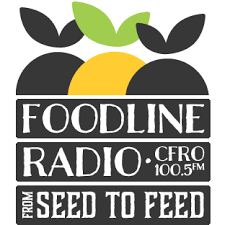 This engaging radio broadcast by Foodline Radio in Vancouver, every Monday night at 8 pm, is just over 45 minutes long, and provides an in depth look into why edible insects are truly the Future of Food in North America. Listen to the whole broadcast here.